We are a species extremely well endowed with the capacity for faith. For the purpose of clear communication, faith is defined here as believing without necessary and sufficient evidence to hinge a particular position to reality. Instead of objective evidence, faith is defined here as being supported with things like authority, popularity, wishful thinking, charisma, trust and force. Faith is sometimes a blend of reality and these other things, but the portion that is faith is defined here as the portion that is unhinged from objective reality. Along with the ability to dribble abstractions out of our face and other appendages to describe what’s real, we also use these abstractions to craft images that aren’t real, or that are so distorted they barely have a toehold in reality. Even greater than our ability to craft unhinged ideas, we’re able to believe them with ease depending on circumstance. We may have the illusion that our senses produce a fairly accurate rendering of reality, but far more of our biological wiring is dedicated to produce a “useful” image than is dedicated to produce an accurate one. Accuracy is a surprisingly expendable commodity in the human biological framework. 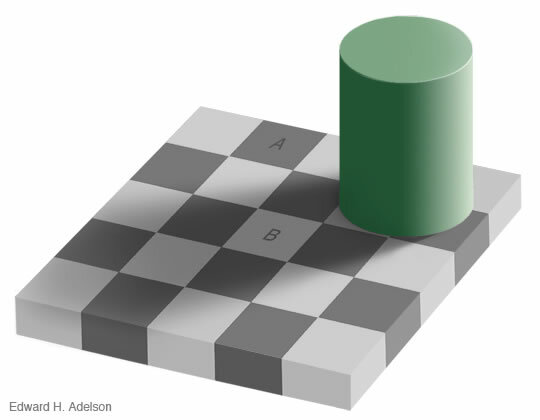 To illustrate the useful rendering factor of our biology we can look at this image; square “A” and square “B” are identical in color, but our brain renders square “B” lighter in color. Our brain doesn’t render things as they are, it interprets information and conjures up what it thinks will be useful for us to navigate. Our senses are notorious among those that study them closely for filling in the gaps. Accuracy is not a priority, useful is the priority. The fact that our brain renders useful, and not accurate, images has profound implications when it comes to what we can reliably believe with certainty. This is especially true when we consider how socially useful it is to believe the things our in-group does. It is also significant when we consider the social currency we gain from the ability to be influential in getting social traction for our own notions in the social economy. This “useful over accuracy” aspect of our biological senses is not confined to the relationship we have between the internal and external world. It is also true of the relationship we have within ourselves. For most of us, accuracy is a shadowy afterthought even when it comes to understanding ourselves or at best, a hard fought and tenuous discipline that requires extreme vigilance. Faith can be seen as a one of the “useful” renderings of the mind. Faith and subjectivity are far more powerful players in the global social economy than is objectivity. Although we have many a trinket produced by technologies that are inseparably grounded in reality, faith still dominates our everyday lives. Most humans believe some set of ideas with no empirical grounding. One common faith based belief is that we are separate from the rest of biology, despite the overwhelming evidence to the contrary. Somehow we see ourselves as far superior. We support our superior notions with various abstract special endowment qualifiers such as we are of divine origins, or use our capacity for symbolic language as a means of generating distance between us and the rest of biology. The bottom line is our conversation with the unknown is a fertile spawning ground for magical thinking. Maybe it’s a cosmic irony that the most essential questions about life are also the most elusive to answer with tangible evidence, but here we are, mining the dark for illumination. “Why are we here? Why do we die? Do we have a purpose, and if so, what is it?” As questions like these come into focus, we attempt to put some structure on them. So far what we’ve been able to extract from beyond the horizon of our senses are various flavors of abstract bubblegum – wordy wads we can chew on and blow a few abstract bubbles with, but that lose their flavor when exposed to the direct light of reality. The fact that reality doesn’t agree with and/or support our ideas doesn’t seem to deter us from believing them. A few of us attempt to brave the unknown using what’s real as the measure of truth, but globally speaking, our most common relationship with the unknown is to sacrifice the darkness on the alter of false certainty. Any exploration we attempt on the parts of ourselves that defy analytic dissection would naturally bring about a litany of guesses. There is an inverse relationship between the level of rational insight we are capable of using and the perceived level of urgency with which we see a given situation. The more urgent we perceive a situation, the less useful the higher functions of our brain. Higher functions essentially shut down or are significantly diminished when we are under perceived threat. Perhaps the more recent arrival on our biological scene of rational thought means this system is as yet undeveloped, therefore gets easily swamped by emotion. It may also be that the slower speed of our rational capacities is the reason they’re so easily overwhelmed by the older, more quickfire and far more established portions of our biology.2 It could be that our slower functions cannot grasp the chaotic rapidity with which our reactionary functions operate. Like the particle trying to understand the wave, we cannot know the position and the velocity at the same time so we are left with generalized pointers and probabilities. We’re also biologically equipped to focus on novel events. When we face novel things we’re triggered into a heightened state of awareness. It’s not difficult to see the survival value of this, but this heightened state is not a fertile environment for processing new things using our thin and questionable capacities for critical thought. When we are young, we are highly plastic. The need to adapt to new environmental conditions specific to us is thought to be the foundation of this early developmental plasticity. The same way a fight or flight situation diverts energies away from immediately unnecessary functions to the ones that serve our urgent needs, we adapt to the perceived relationship climate during our developmental stage. If the environment is stressed, our biological faculties will be more inclined to be reactionary. As we age, in mass the generation takes hold of the social narrative and uses the established channels to react. The general aversion older adults have to the new could explain the mechanism by which traditional ideas and rituals are preserved. Because that segment of the population operated the controls, perhaps it strives to maintain relevance. This can also cause a situation where the ante to get in the game is to lay claim to observing the status quo. No matter the cause, we use faith to defend against the fear that comes with dawning awareness. Faith stands in when evidence is lacking, or is inconveniently destructive of what we’re emotionally invested in. We may find the idea of expiring into nothingness upon death unbearable, so we invent abstractions as a coping mechanism. Our compulsive tendency to explain the inexplicable overwhelms our capacity to be rational. The irony is that the things we use to defend ourselves may become the enemy of clear vision. We become emotionally attached to ideas that we then defend as we would any other part of our person. Perhaps the faith based ideas that crop up from the soils of the unknown initially caught on as a means to reassure our young somewhere back in time. Children by nature are profoundly inquisitive. Parents are inclined to give them some kind of grounding so they can function in the world. Quenching fears would be one of the priorities. Couple this parenting drive with a dim awareness of cause and effect and we can see how comforting lies and misperceptions could eventually morph into widely accepted and largely unquestioned facts. The way ideas take root in both individuals and cultures is like the campfire that crosses a threshold from unviable without direct support to one increasingly hungry for fuel. It can be difficult for an idea to catch on, but once it does, we tend to embrace and spread it. 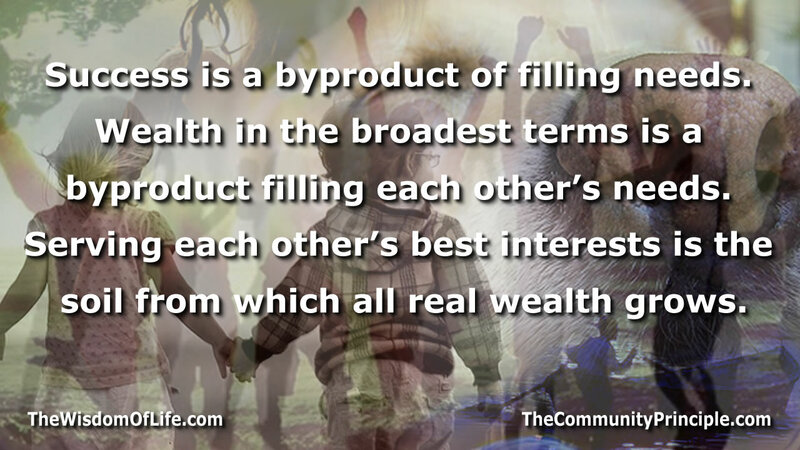 After it’s well established it becomes part of the social currency. We generally accept the ideas we are bathed in from youth as fact. If threatened, our ideological identity is social flesh, we protect and defend it as we would our body. Tradition is only one of the ways false ideas are transmitted and perpetuated; authority, popularity, among other social pressures are mechanisms that propagate and perpetuate myths. An “availability cascade”3 is a social phenomena where a self-reinforcing communication loop causes certain kinds of collective beliefs to take root in a culture. When an idea is expressed simply and seems to explain something complex, it rapidly gains social momentum. The more popular, the more it generates a feedback loop of further spreading and acceptance within a culture. After it reaches critical social mass, people adopt it because other people have already adopted it. The reason it spreads is due to a combination of its unique nature and new found popularity. We are genetically prone to pay attention to new or unusual things. We are also prone to do things to fit in with our group. Availability cascades cause widespread acceptance of ideas regardless of whether the people in fact fully believe in the idea they now express. The need for social acceptance overwhelms our critical thinking capacities. It’s possible we cling to unfounded ideas out of a need for axioms by which to navigate. We act on ideas we believe are true, not necessarily those that are true. This can make the skill of persuasion an extremely valuable social currency. As a result we may have developed the skill to deceive a means of protection or establishing an elevated more secure place in the world. If our goal is to avoid the hazards that arise when we drive blind through life we might want explore why we feel so compelled to fill in the gaps in our awareness. We might also want to explore what weakness in our sensory faculties enables us to so readily confuse words with reality? We are tickled by the unknown, unable to stop responding unless we do something to scratch the itch. Maybe comforting delusions provide protection from primal fears that would otherwise distract and cripple us. Once we’ve established illusory control with our words we seem to feel better. In the absence of evidence, we build mental castles fortified with abstractions to maintain our sense of safety and right. Another function of abstractions in human culture is that they serve as a means of persuasion. Social construction is a phrase used to describe how people are grouped into categories using the language a culture uses to communicate. This categorization trait of linguistics has an enormous impact on lives and relationships of the people within a culture. While classifications can be descriptive of existing realities, they can also have a prescriptive power when fueled by faith. We use language to describe reality, but we also use it to prescribe it. The more people believe in and evangelize a particular stereotype categorization, the more influence it has to shape attitudes and behaviors within a culture. Social constructs can do things like confer artificial privilege to certain segments of a population while oppressing others, all powered by faith in the ideas. Learned helplessness and false entitlement alike can emerge as social constructs in a culture. Once established, the faith process can sustain itself without the participants being aware of the drivers undergirding their experience. This can lead to something called “pluralistic ignorance” where a majority of group members may privately reject a particular view, but they incorrectly assume that most others accept it, so they go along with it. While physical wealth might be measured by the amount of resources within the control of individuals or groups, social wealth can be measured in terms of the capacity of individuals or groups to influence the culture. 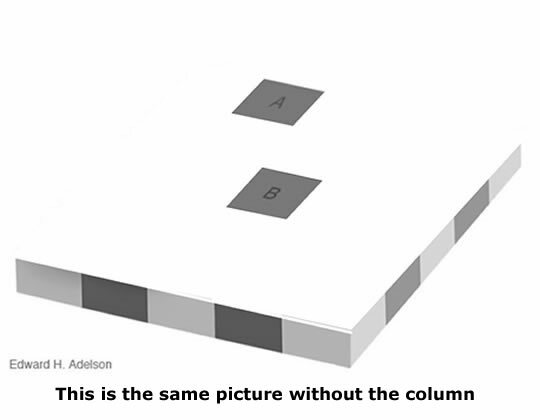 The two are often intertwined, but like length and width are to the area of a rectangle, one cannot exist without the other. There is a largely unspoken social contract based on faith that keeps notions like property and class in vogue. Character could be measured by the nature of what we spread with our capacity to influence. Money is social construct as is the concept of leaders. Leaders, without the currency of social influence are nonexistent. Social constructs may not be strictly the domain of faith because we could objectively describe the real world implications, but this impact is built on a foundation of faith. One of the more serious downsides of embracing ideas unhinged from reality is their stagnating effect on developing greater awareness. If we operate with the belief that we’ve arrived at the truth, it comes with a side dish of “no reason to explore further”. The illusion of a complete view of reality can be rendered by virtue of the vision limiting capacity of an ignorant perspective. We can be unknowingly locked in a prison of self induced self perpetuated ignorance.4 Our current beliefs can act as projector onto reality rather than a lens through which to see it clearly. 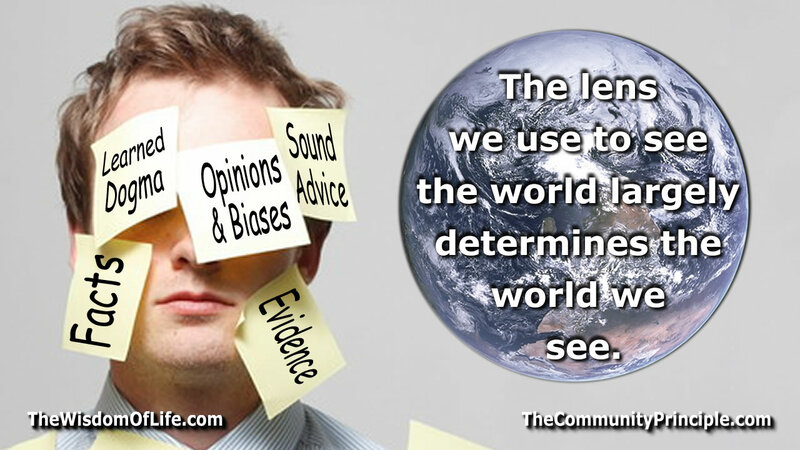 As a result, many, if not all of us live in a world of our own making, blind to the one that is. Cultures and persons with ideological positions that are significantly detached from the fairly glaring realities of everyday life also tend to be the ones that produce more elaborate webs of ritual display. Maybe the fact that faith based ideas have such a tenuous hold on reality is the self same reason they must be elevated from mundane to sacred – to protect them with shrill emotions from the jaws of reality which would otherwise devour them. Elaborate ritual display is also related to how much a particular ideology is perceived to be under threat from outside influences. The greater the perceived threat, the more social energy goes into demands for oaths and other symbolic commitments to the faith. Once we develop an established baseline of beliefs about the world, any additional perspectives we’re bathed in can only influence us from the frame of reference we already hold. As a consequence, evidence that counter our belief systems tend to be dis-confirmed by that same belief. Belief can be a powerful anchor for delusion because our vision is shaped by ideas we already hold true. The ideas we pull out of the dark can start their lives as known symbols and later morph into a perceived reality. 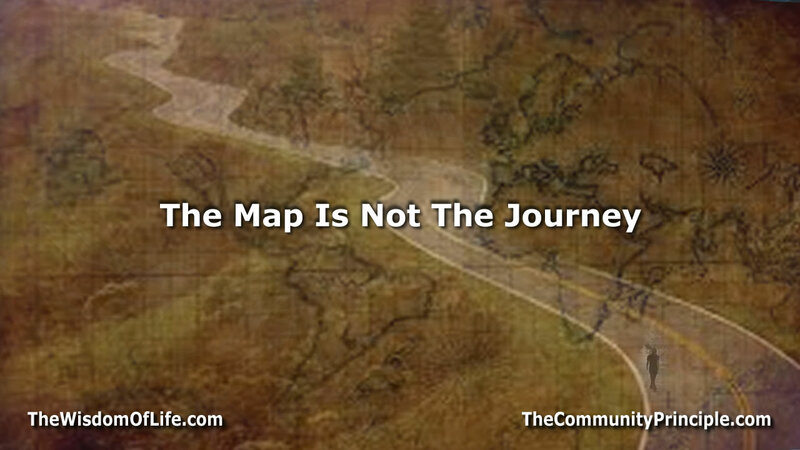 We can begin confuse the map we once drew in our minds with the actual landscape. We can then live in a world of partly our own making, semi-detached from the realities that persist despite our inabilities to see them. Another of the unpleasant side effects of believing ideas unhinged from reality is our tendency to defend them with more passion than ideas that are solidly planted in everyday evidence. Generally speaking, we don’t rush to defend the ordinary if it’s challenged. If someone makes the argument that the earth has no water, it doesn’t typically draw a sharp defensive reaction. We can see touch taste and experience the water for ourselves. When a faith based idea we hold is challenged, we’re far more likely to unsheathe a fat roll of theological duct tape and begin the process of spinning a dogmatic cocoon to contain the heresy. In some of the more seasoned and gentle organized faiths, the overt intent of spinning verbal cocoons around heretical thoughts and behaviors is to “correct”, “evangelize”, or at least to protect the believer from evil thoughts. Should the theological cocoon be effective at containing the target, it enables a metamorphosis of the wayward to believer. In the absence of a successful conversion, some alternative approaches include demonizing the offender, punishing and/or expelling them from the social circle. Certain brands of faith come wrapped in a particularly harsh variety of intolerance. In more extreme cultural mindsets, there is no evangelistic step, the expectation is ideological purity and the move is from recognition of “heresy” to expelling the heretic from their own life. Many a squabble and war have been catalyzed or powered directly by ideological fuel. This might stem from the fact that the cost of holding a faith based idea requires a certain denial of reality in the first place. Although denial almost always a factor in supporting all forms of faith, there’s more to it than denial alone. One reason we’re intolerant of perceived heresy might be found by looking at how our communal social bonds are built. Our integrity as a community is built on a framework of similar entities that collectively nourish each other. Shared symbols are part of what communities are built on. We use shared ideas as social DNA to bind our community identity into a coherent order. If faith is part of the social bonding process, we share and replicate faith. Whatever the social currency is, that’s what people tend to trade in. Acceptance and rejection of the shared ideas define who’s in and who’s out of the tribe – what is “self”, and what is “other”. The fact that we distance ourselves from, assimilate and/or destroy faiths outside our own may be a cultural echo of the fact that we must devour other forms of life to survive. Our lives depend on sacrificing the “other” so that the “self” may live. We may have unconsciously ritualized our understanding of our nature by crafting myths that we then use to consume each other, expelling some waste farming others as food and so on. Culture may be essentially participating in an interpretive tribal dance that expresses our understanding of our environment and nature. Unconscious ritualization could explain why cultures that developed in environments that require male dominance to survive tend to produce masculinized rituals, myths and patriarchal bellicose social norms.5 This may also be why hunter gatherer cultures with a variety of food sources tend toward polytheism and pastoral cultures with a narrow band of food options tend toward monotheism. Ritualization could be the outward expression of necessary things like population control for an island nation. The occurrence of feast and famine, seasons geography and so on would also impact the nature of the myths, the language and the rituals that define a culture. The ideas we hold as “true & false – good & evil” may be symbolic stand ins of our unconscious understanding of our natural biological drives. 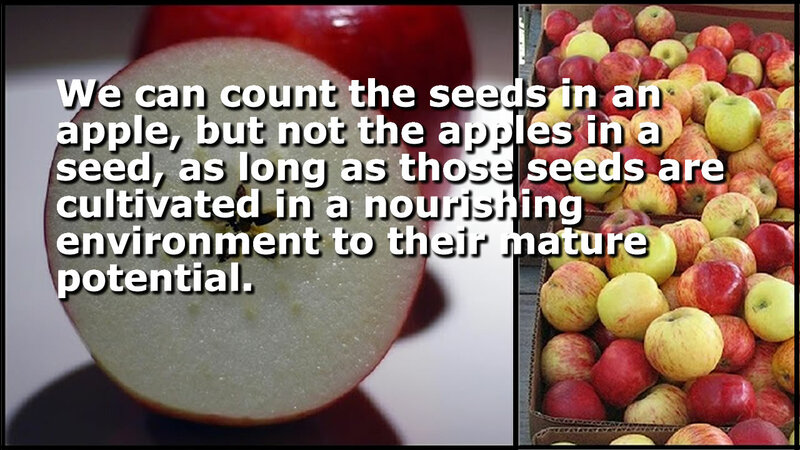 Drives like food, water, relationship and reproduction are strong themes in this natural mix, and show up in our cultural rituals and surrounding myths. With this in mind, we might be destined to be in conflict with each other as a kind of unconscious acting out of our drives. Intolerance may be part of our cultural immune system. Our language words and behaviors may be a cultural echo of the various relationships we must have with the environment and the rest of biology. Consequently we may ritualize the devouring and digestion process of “other” in relation to the cultural “self” on our social landscape. The irony here is that we would need to spread a set of pluralistic values in order to craft a sustainable equilibrium that involves the peaceful coexistence of differing cultural ideologies. The fact that we lack tangible evidence for the questions we find so essential to life may be why we make more frequent ritual displays of our faith once it’s established. Rituals may be the mechanism by which we express our understanding of what is real, but they may also be how we reify the unreal. Because our faith is made real in our minds through ritual, we subsequently defend our cultural traditions as if they are vital organs. Perhaps it’s because they are vital social organs, perceived as necessary for the cohesion and survivability of a particular group. Religion is by no means the only domain of faith. We make solemn pledges to national flags, ritualize patriotism, take oaths, hold parades, join clubs, fraternities and organizations with shared faith as part of the social equation. Some of us have attachments to political parties with the same fabric of faith and the same levels intolerance, the same evangelical fervor and the same dehumanizing dichotomy between “us” and “them”. We also develop many forms of personal faith. Some of us use the ritual of getting other people to believe a story as the impulse to count that same story as real. Addicts are notorious for this type of propulsion into chaos, as are their counterparts, the enablers. Even though the paint job is different in these two cases, the same underlying engine is based on faith – belief without tangible evidence. The down side of the way we develop and sustain culture is that it is slower to adapt than the the technological climate we now live in demands. We have been quite used to using everything at our disposal to tame nature and each other. We have now crossed the threshold of development where we need to ask more than “Can we?”, we must now ask “Should we?”. The side dish of aggression that comes with cultural hegemony threatens the network of cooperative relationships we now need to sustain a global culture. We could destroy ourselves with our attachment to ideas that no longer serve to strengthen us, but threaten to destroy us. Faith may have been the womb that protected us through our early development, but like any other womb, it nourishes development to a point, then strangles its inhabitants if they don’t break free of it’s confines. 2Two parts of our nervous system are especially significant in taking command whenever it sees fit; the limbic system and the autonomic nervous system. The limbic system is a group of forebrain structures including the hypothalamus, the amygdala, and the hippocampus among others. These are heavily involved in motivation, emotion, learning, and memory. The autonomic nervous system is a control system that acts largely unconsciously and regulates things like heart rate, digestion, respiratory rate, pupillary response, urination, and sexual arousal, but it is also the primary mechanism in control of the fight-or-flight response. 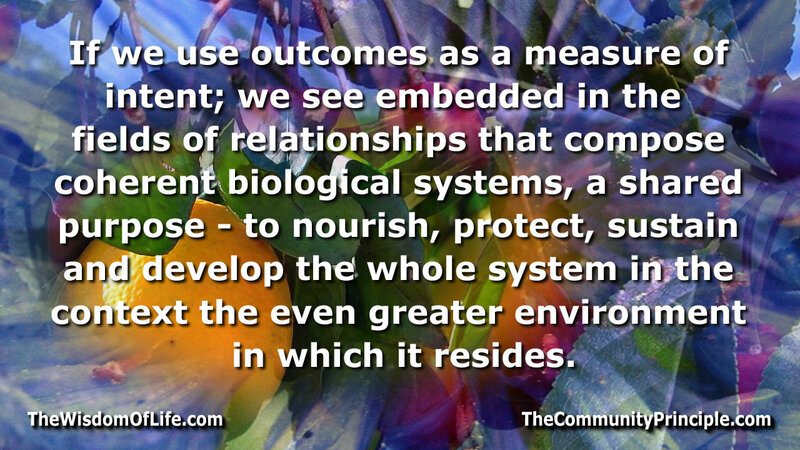 When we react, these systems are at work. 5For more information on this perspective look up the term; “Cultural materialism”. 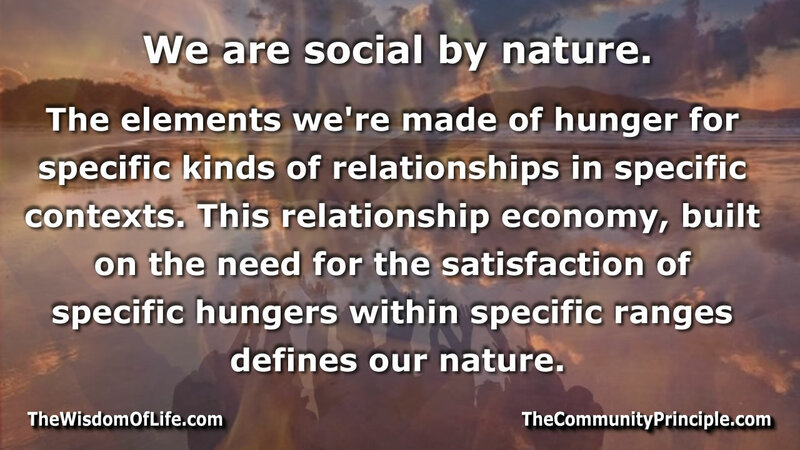 At a fundamental level, the strength of social systems is built on built on individuals collectively acting in the interest of what nourishes and strengthens the entire community. This doesn’t mean self denial. To the contrary, it is critically important for each of us to be open to receive the things we need to stay strong, but this strength must be converted to something that enhances the entire community in order to produce real value. 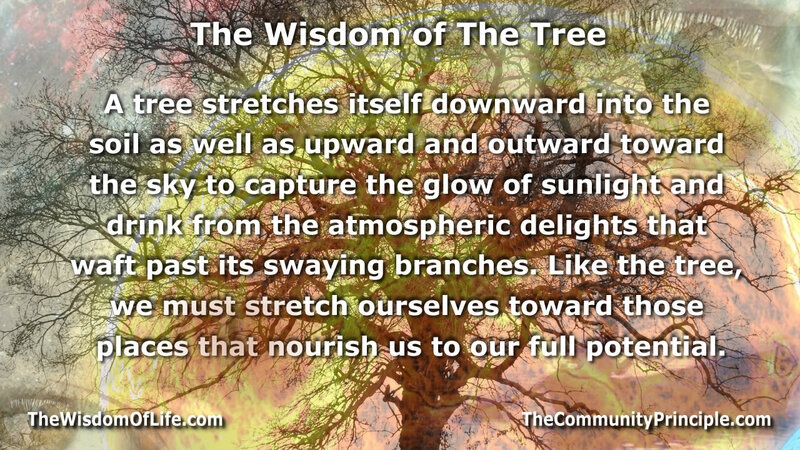 A mutual stake in each other’s success that extends outward to protect the sustainable flow of essential nourishment is the foundation of a solid community. Collectively, we wield the power that crafts the idea of what is acceptable and what is not in our community. When we behave toward each other as if we all matter – when this is expressed through behaviors that demonstrate that we care for our streets and homes – when we educate by example and take an active stake in our community – these kinds of things are as contagious as a street full of security bars and trash is to generate the idea of what is acceptable and what is not. Leadership always flows from the bottom up. Community minded people at the bottom is what makes community minded action a priority at the top of any social order. Generally speaking, there are those that lead and those that follow, but each of us, no matter what our station in life has the power to participate in cultivating the common wealth that flows from community. Sometimes this is as simple as holding a door, smiling, bringing a meal to a sick friend or picking up some trash, or painting a bench. For a business owner it might mean doing responsible things to make the lives of all the workers and the community better in tangible ways. Whatever we have to contribute to the community is ultimately sets the level for what that community is capable of doing. When a mutual stake in each other’s success erodes, so does the community’s capacity to carry the weight of it’s inhabitants. It’s as simple as that – and as complex. Some of us erroneously think our wealth comes from competition. While competition is necessary to engage at times, cooperation is primary driver of wealth. Our value is rooted in how much we collectively translate what the community has to offer us as an investment that returns even more value back to that same community. This is the seed of real wealth. Please share your thoughts on building community.